Oball Murano Glass Sailboat Large light blue/clear - Murano Glass - Murano Glass Gifts Co.
Murano Island, Venice is the melting pot of various glass art techniques developed by the traditional glass maestros. 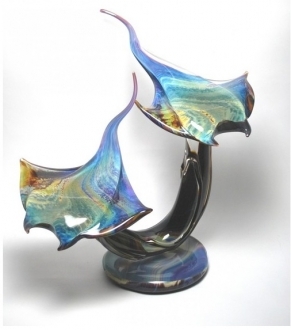 The artisans of Murano Island produced such high quality glass articles that the Murano glass became synonymous to perfection and skill. 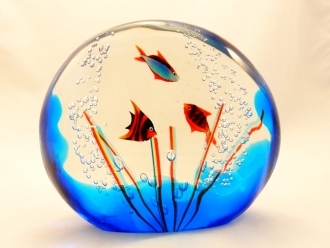 The techniques and methods used by the present generation of glass artists in Murano are extremely diverse and intriguing. 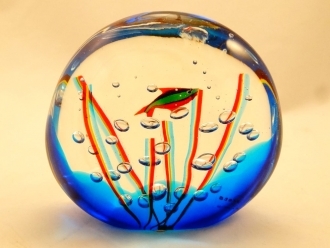 They have this art handed down to them by their most illustrious ancestors for whom glass blowing and shaping was no less than a religion. 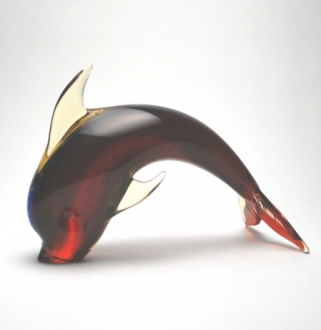 The artisans identified themselves so completely with nature and their surroundings that they could replicate any object, living or nonliving under the sun with the most imaginative flavor. The Murano glass boat sculptures are wonderful creations that can bring a feeling of sea breeze and the sound of breakers into your living and office spaces. 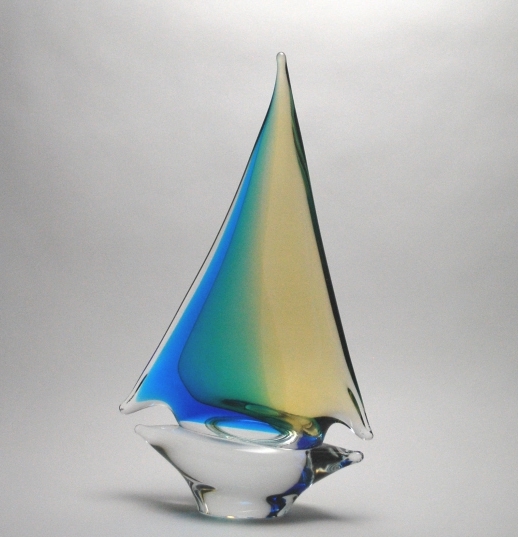 This large Murano glass sail boat will convert the living space of your house into an outdoor ambience. 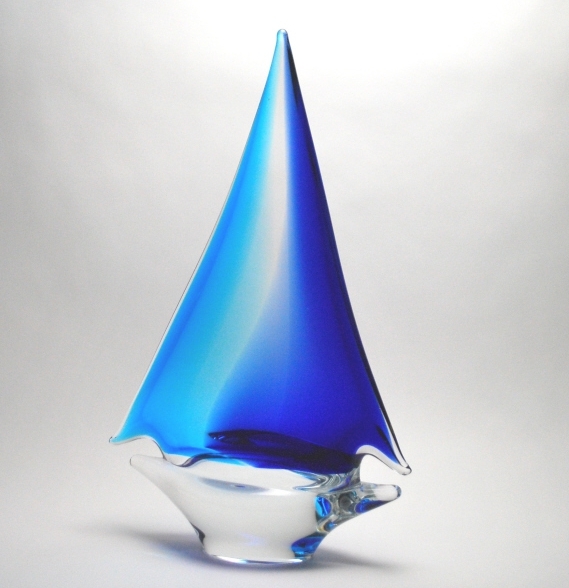 The sunlight coming through its long radiant crystalline hull will fill the room with a heavenly incandescence. 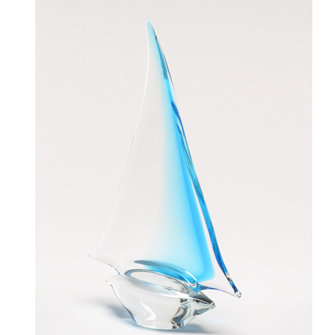 The tall sail of the Venetian glass boat with its clear-glass brilliance tinged with the light blue produces the feeling of a sunny day at sea. 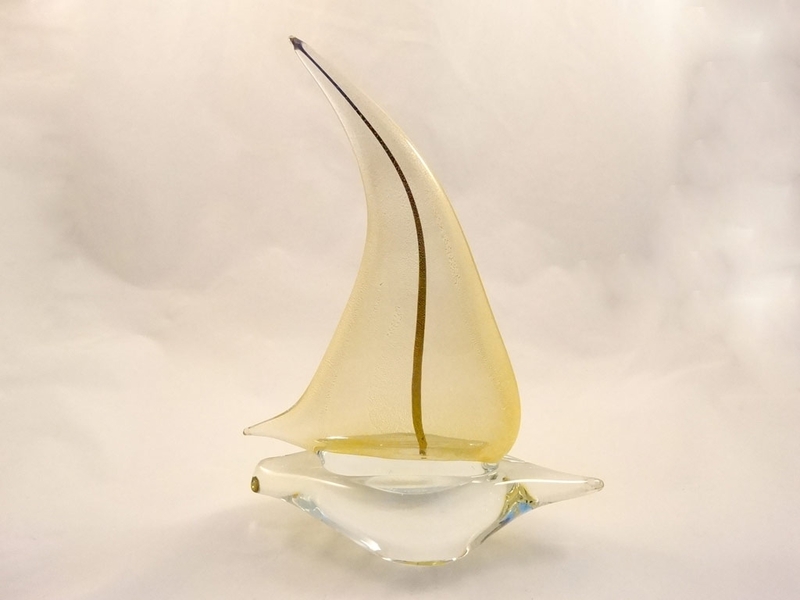 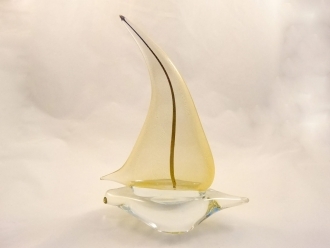 This Murano glass boat will be an invaluable and decorative asset in any house. 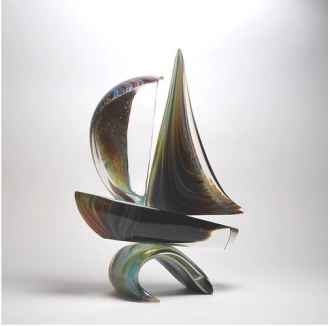 Besides being a resplendent décor article, it can be gifted to a sea loving friend who is sure to price it above all of his/her collection. 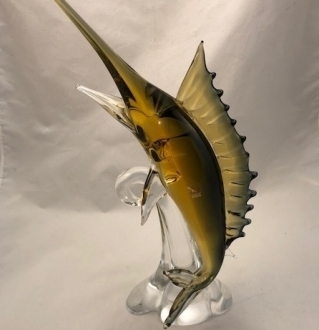 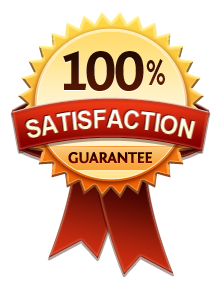 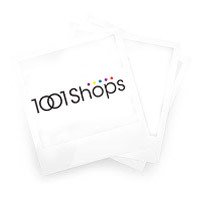 This is a genuine Murano glass article and its authenticity is ensured through the certificates of authenticity that comes with them. 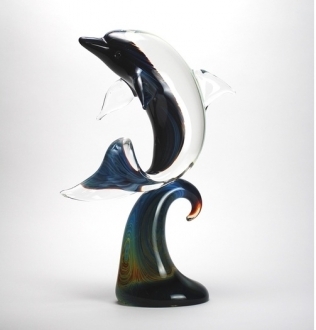 Besides, each of these Venetian glass articles bears the seal of its maker engraved on it.